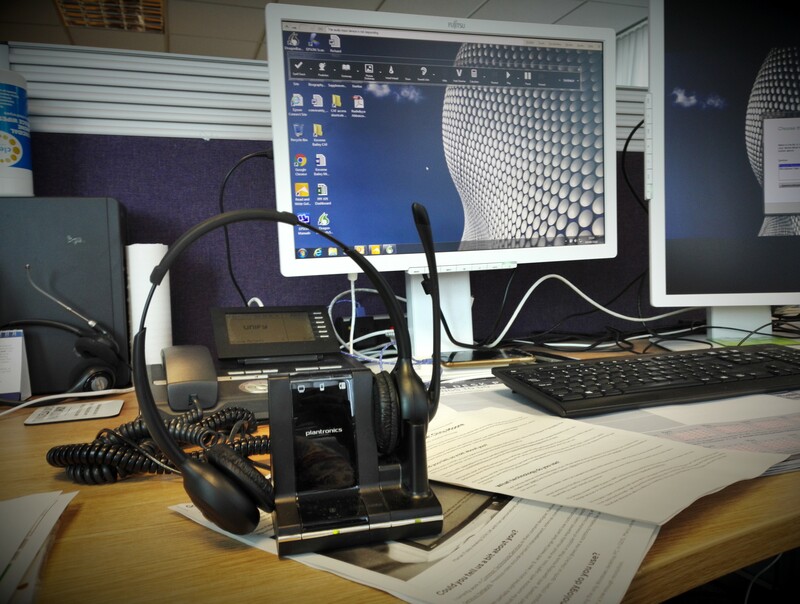 In this latest post in our Accessibility and Me series, we speak to a case manager at HM Revenue & Customs who has dyslexia and uses voice-dictation software Dragon. We talk to them about access requirements, the technology they use and what designers and developers can do to meet their needs. I’ve worked in HMRC and its predecessor department for around 11 years. The area I work in is responsible for delivering interactions with a key selection of our customers. This work links to criminal and civil actions, which is part of one of the biggest work areas in HMRC. In my role as a case manager, I manage more than 150 staff across the country. They deal with forecasting, complaints, ministerial correspondence and other key sensitive projects. I was diagnosed as having dyslexia at the age of 8, when I noticeably began to struggle at school. Back in the late ‘80s and early ‘90s dyslexia wasn’t commonly recognised and there was limited support available. My mum managed to have me assessed by the Dyslexia Institute in London. As a new body at that time, they were just starting pilot projects training teachers on how to support children who had dyslexia. I was offered a place in this programme, where I received the support I needed. I did that for about 6 or 7 years. My parents have been very supportive throughout and sent me to boarding school, where the structure and support was more tailored. As a result I continued my studies to university level. Dyslexia has been a challenge throughout my life and continues to be. What any person with dyslexia will tell you is that although the problem never goes away, you learn techniques to deal with it. My spelling is still atrocious but I rely on technology and tricks that I have learnt to get me around the problem. I rely on Read and Write Gold to help me with spelling. It's like Windows grammar checker but it’s more advanced. It has better dictionaries that have pretty much everything in them. It spell-checks everything, even simple words. The problem with using spell-check in Microsoft Word is that it often defaults to the US spelling when used in a wide network space. Also Microsoft often does not understand what you are trying to spell, as dyslexic people can try to spell things differently. Read and Write Gold also provides a meaning for the words, allowing you to check the spelling and the grammar. The problem is not always just spelling the word incorrectly, it can be using the wrong word for the wrong meaning. Read and Write Gold resolves that issue, so I rely on it heavily for all the written work that I do. It can also read text out for you. So if I am reading something that is lengthy, I'll just highlight the text and it will read it back to me. I also use Dragon Naturally Speaking, a voice-dictation software that allows you to type at around 60-80 words a minute. It was originally designed for people with mobility impairments but it has really been picked up by the dyslexic community. Once you have trained it, it’s pretty accurate and a very useful tool. I generally don't use Dragon much in the office as it's distracting to my colleagues and can't be used for anything sensitive, which some of my work is. I tend to use it at home more, although I do know some people who use it for everything. I find it can also slow me down. For example, the interaction on iForms (forms which are locked down) is very poor and would probably take me 3 hours to fill in using Dragon. I can do it quicker by typing. Dragon can also be used to navigate a website and open, draft and send an email. Everything you can do with a mouse you can do with Dragon. But I still use a mouse and keyboard, I use Dragon purely for dictation. As part of my job, I have to use lots of internal web systems. Outside of work I use the internet for everything. I do all of my banking, shopping and reading blogs and articles online. I only occasionally use Read and Write Gold on external websites. If there is something going on in the media and there is a really long story, then I may highlight the text and then listen to it. What barriers do you regularly face? I experience poor interaction with certain forms. Some are designed in a way that they’re locked down so tight that Dragon can't interact with them. It won't allow you to jump tabs and the spell-check won’t work. In that case you have to write the text into a Word document and copy it across. This can be very frustrating for a dyslexic person. When things are implemented correctly it makes life so much easier but when they are not, it’s not only frustrating but it impacts productivity. I'm fortunate that I don't have a physical disability and if something doesn't work I can use the keyboard instead. But many people don't have that choice. I've had colleagues who haven't been able to fill in forms, as they weren't compatible with Dragon. It can be a showstopper. We have a community of Dragon users in HMRC that's around 650-strong. We do get asked to provide feedback on new systems to see if they work for us. The problem is that we don't seem to be learning as quickly as we could. We are still experiencing the same problems that we had 3 years ago. But we are getting there. Other problems I face is when text on internal websites can't be read out by Read and Write Gold. I'll highlight it but nothing happens. There can also be barriers in how webpages are designed and written. I can struggle with a large block of text. The more broken up text the easier it is for my brain to absorb it. What should content designers, designers and developers be doing? Make sure that forms are not implemented in a way that prevents people from using the technologies they need to access them. Test forms in Dragon Naturally Speaking and Read and Write Gold to ensure they work with it. Make sure Dragon can access all the form fields and that the words that are spoken are captured correctly. Also test that Read and Write Gold can be used to spell-check the words that have been entered into the form fields. This already happens sometimes in HMRC – we just need to ensure it always happens. Break content into chunks with lots of headings, lists and short sentences and paragraphs. Use images to help break things up and to provide extra context and clarity. Use plain, straightforward English that everyone understands. Try not to write too much in italics, bold or capitals as it's harder to read. Check that content can be read out by Read and Write Gold. Share pointers for how to make sure that things work in Dragon and Read and Write Gold. 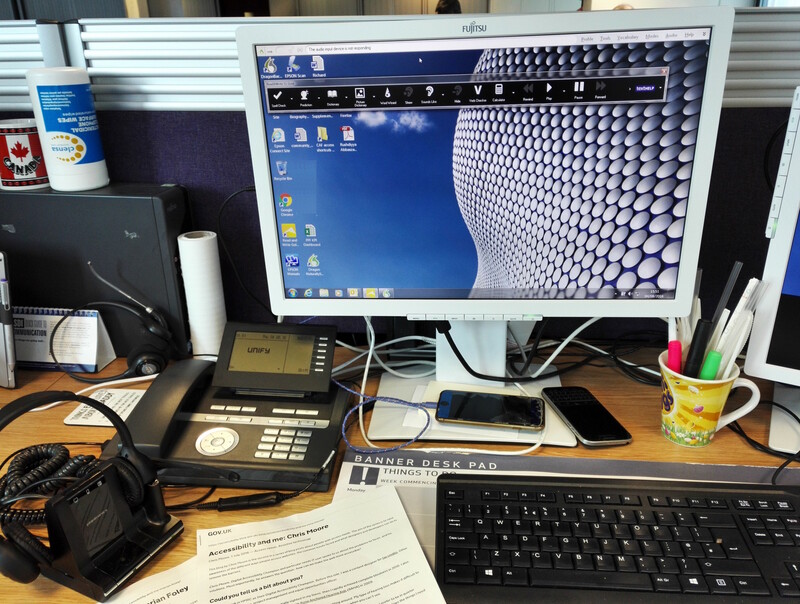 We recently carried out research into the types of assistive technology people use to access GOV.UK. Including Read and Write and Dragon. We published a summary of the results. This is the fourth in a series of blog posts about the experiences of people with access needs. The aim of the series is to raise awareness of the different ways people access websites and services, the common issues faced and what designers and developers can do to remove the barriers. You can read more in the other interviews in our Accessibility and Me series. If you would like to talk about accessibility issues you face for a piece in this series, contact accessibility@digital.cabinet-office.gov.uk. As one of two speech and language therapists working for the MOD in military rehabilitation, I was disappointed to read of the largely out dated accessibility tools being used in the wider world. Technology is fast moving and supportive devices / apps are wide ranging and hugely efficient. Times are changing - there is always "an app for that"